Comments: ALTERNATE EDITION: NEW > PLEASE READ > NEW softcover book INSTRUCTOR'S EDITION marked not for sale. Barely cover wear. THIRD EDITION. Same content as student edition. DAILY SHIPPING! Comments: Spine is damaged but text is complete. May contain heavy writing/highlighting. Used - Acceptable Third Some pages are water stained. Worn but functional. Choose EXPEDITED shipping for faster delivery! 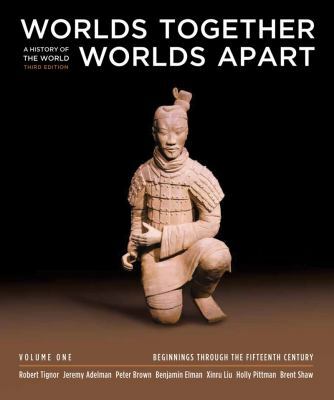 Jeremy Adelman is the author of 'Worlds Together, Worlds Apart: A History of the World: Beginnings Through the Fifteenth Century (Third Edition) (Vol. 1)', published 2010 under ISBN 9780393934939 and ISBN 0393934934. Loading marketplace prices 61 copies from $2.41 How does the rental process work?